Concorde Precision Manufacturing Inc. specializes in the high precision, custom machining of large scale castings and assemblies. We machine critical components for a wide variety of industrial end-users in the mining, transportation, oil and gas, machine tool, energy/power generation, off road, and aerospace industries. Our facility houses state of the art machinery, and our experienced team of skilled professionals works hard to ensure constant quality, every time. 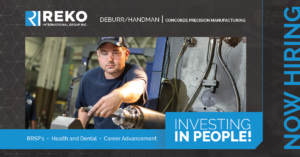 Click here to visit the Concorde Precision Manufacturing website. 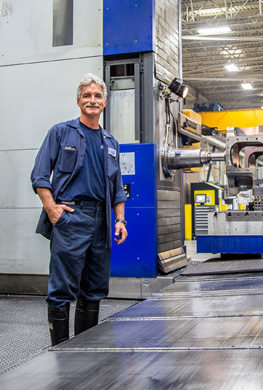 Our experienced team works hard to ensure consistent precision and quality, thrives on looking for new and innovative ways to machine critical components, and always ensures delivery deadlines are kept in mind. 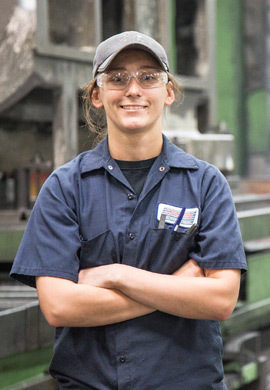 This commitment to quality and timeliness results in faster assembly times for our customers. 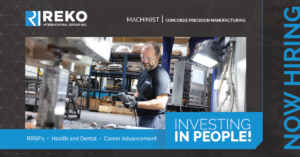 With a corporate history of machine building, and years of experience applying new technologies, we are uniquely skilled in applying the best processes and using the most suitable equipment to meet your machining needs. No matter the size or weight of your workpiece Concorde has you covered. Our 83,000 square foot facility houses 24 machines, enabling us to meet volume requirements and expedited timing needs. Concorde is registered with the government of Canada as certified vendor in the controlled goods program.